Rebecca started Health2u in Singapore following the success of Physiocomestoyou Ltd in London and the UK which is still running strong. Both companies were developed to address the gap in the market for a professional service providing physiotherapy, massage and exercise to people at home and work. 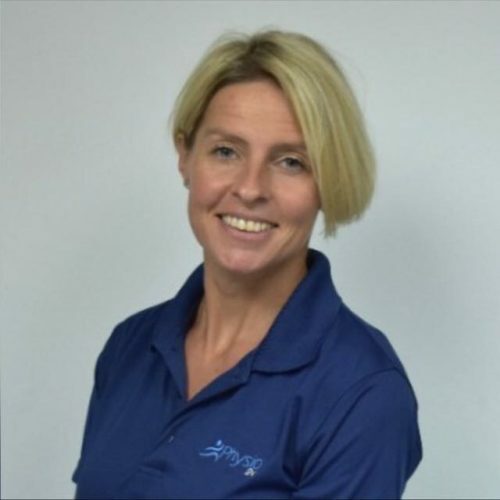 Rebecca has over 16 years of physiotherapy experience having qualified in 2002 and spent 7 years within teaching hospitals and at the same time completed a Masters in Advanced Physiotherapy. She is also trained in acupuncture, pilates and exercise rehab particulary of the pre natal and post natal exercise. Having a baby in Singapore Bex set up the Health2Mama branch of Health2u having realised the huge benefits of having a service that comes to you after birth and helps with things such as massage, breast massage to help milk supply, advice on feeding and lifting techniques around the home to help prevent back pain and chest tightness. This led to ‘The Recovery Session’ Being developed. There is also the Exercise programmes Rebecca has developed to help mothers correct any diastasis recti and get back to being fit, toned and their ideal weight again after birth while ensuring good pelvic floor control and protection of the diastasis recti. The sessions can be individual or of small groups of other mothers at your condo or home. Alongside the National Osteoporosis Society and Rheumatologists she has developed ‘The Bone Conditioning Programme’ which is a rehab programme which is the only one of its kind and will shortly be available to access in late 2018. This programme will have a wealth of modern 15 min exercise routines with professionally shot exercise videos. It is geared towards making the young realise how important it is to build bone strength from an early age as well as for the older already diagnosed with ostepenia/osteoporosis and at risk of falls.